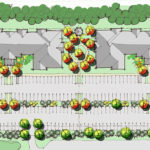 Located on Route 206 in Montgomery, NJ, this redevelopment site stretches approximately 5 acres. It has its challenges with a large grade difference from the road to the rear of the site, and a very narrow width. 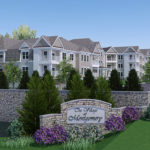 We worked with Country Classics to propose 2-3 story buildings with 115 rental units that fit neatly within the footprint and adjusted for the grade differential.